From the beginning, Diamondback at White Clouds Residences started with strength. With Sun Valley Resort as its developer, White Clouds became the first development property at the resort in 35 years. The location couldn’t be more ideal for enjoying the best of Sun Valley. For golf, there are 54 holes nearby, including the adjacent nine-hole alpine links course, White Clouds. Just across the road are the Trail Creek Golf Course and the Sun Valley Club. With its fine restaurant and bar, the Club is the perfect place to meet up with friends and share a bite. When winter comes, the Club takes on its alter-identity as a Nordic ski center, and the multi-purpose bike trail similarly shape-shifts to a Nordic ski trail. 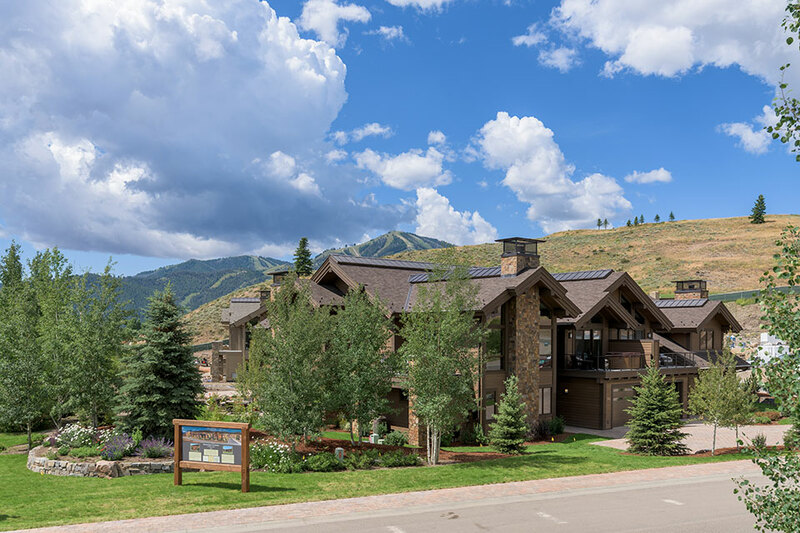 The Diamondback Residences are just four minutes of long athletic strides or six minutes of strolling to the Sun Valley Village, including the recently rebuilt Sun Valley Lodge with its all-a-buzz spa and pool. A club card purchase enables owners at Diamondback to have access to all the facilities and recreation that guests of the Lodge enjoy. 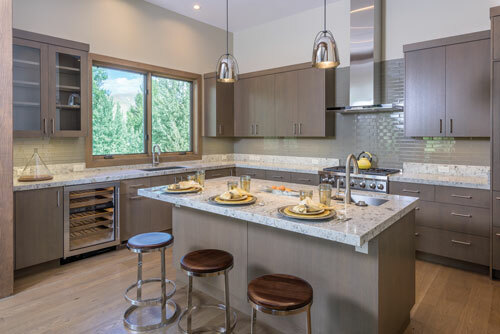 Diamondback Residences feature clean contemporary lines with earthy stonework for that mountain modern look that works so well, and all the finishes resonate with the theme of luxury. Plus, as Wally Huffman, the Sun Valley executive in charge of in-house sales, describes, the residences are designed to “lock and leave.” This means no worries and no complications when the residents are elsewhere. 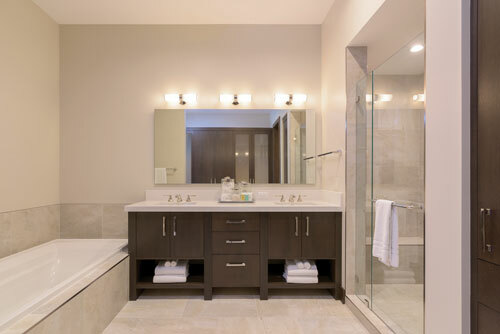 With prairie stone veneers, steel mantels, plain-sawn oak flooring, rift-sawn cabinets, oak base and case trim, Wolf and Sub-Zero appliances, Rohl plumbing fixtures, steel accents on the railings, and custom solid oak-paneled doors with hand-forged bronze Rocky Mountain hardware, only the very highest-end of luxury residences in the Mountain West can compare with the quality of these homes. Along with this high quality is an intelligent use of space. The high, open ceilings and extra-tall doors give a grand openness to a well-considered space to be used and lived in. The homes are built to a Silver Green Building Performance Standard for efficiency as well as to ensure comfort, verifies Layne Thompson, project manager with Magleby Construction. Interiors draw inspiration from the countryside with earthy materials and color. Another interesting option is a choice to buy the homes unfurnished or move-in-ready. 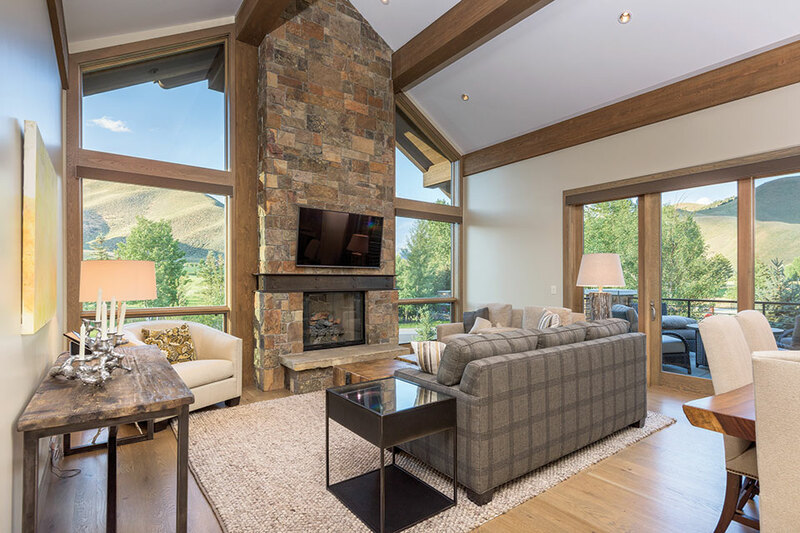 About half of the buyers so far have chosen the second option, the amenity package, wherein residents only have to “just bring a tooth brush.” Interior designer Lauren Tyler of Osborne Tyler Design takes care of everything else through close coordination with Sun Valley Company. They supply furnishings, window coverings, dishes and kitchen supplies, and all else that is needed to live well in the home. Open a cabinet: there’s the dish detergent. Pick up the remote: there’s the program. 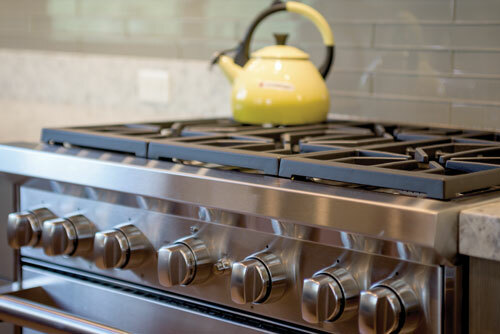 The homeowners who selected the move-in-ready option were pleased with the time saved on ordering products, managing deliveries, and installation. Owners can also choose to put their Diamondback homes into the Sun Valley rental pool. In this option, Sun Valley is the property manager, and the home is rented out while the owners are elsewhere. “There is a lot of flexibility. Sun Valley’s arrangement doesn’t limit the number of days the owner may occupy the home, and the revenue is enough to cover ongoing costs,” says Huffman. Luxury and craftsmanship resound in the details. With the success of Phases 1A and 1B, the team of Sun Valley Company, Ruscitto/Latham/Blanton Architectura, Osborne Tyler Design, and Magleby Construction huddled together to see what they could do better for the final phase. The location is furthest from Trail Creek Road with commanding views of the Pioneer Mountains. 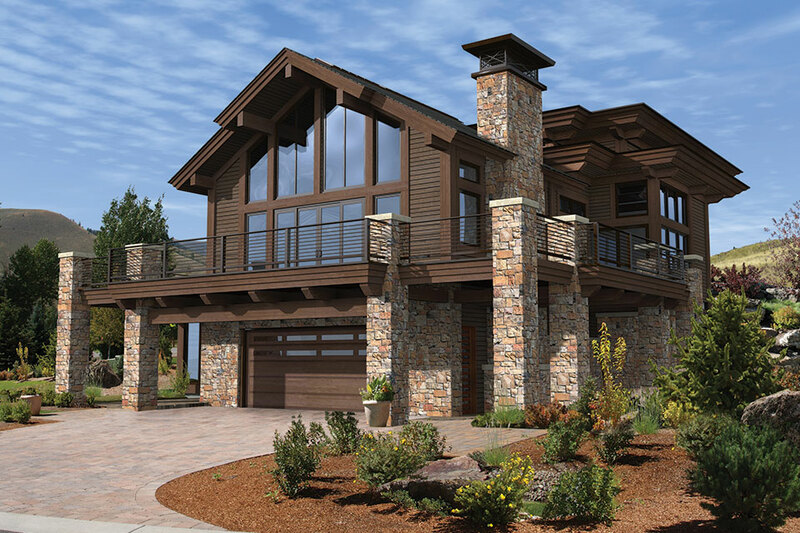 Reviewing the property and the positive reception of the first phases, they carried the concept for the Diamondback homes even further forward. As a result, this next phase will have ten new homes: two single-family, four-bedroom townhomes and four duplexes with eight homes. Two of the duplexes have three bedrooms and six have four bedrooms. All have attached two-car garages and elevators to serve the three floors. With the move-in-ready option, pack the personals and you’re moved in. The public’s reaction is that indeed, the final phase is a winner. Construction has commenced, some units may be complete as early as spring 2018, and the phase is planned for completion in 2019. White Clouds also offers single-family estate lots. for more information visit whitecloudsresidences.com.